Globe has just rolled out a new all-text promo. 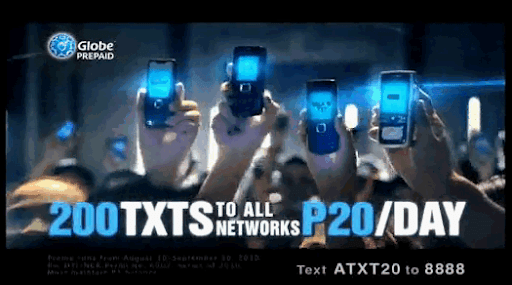 Globe Super AllTXT 20 gives Globe and Tattoo subscribers 200 text messages to ALL networks per day for only Php 20. To register, all you have to do is to load up and text ATXT20 to 8888.